Spring, Texas – April 2nd, 2017: Tornado Watch 109 is in effect until 6:00 PM CDT for the following counties: Angelina, Austin, Cherokee, Colorado, Gregg, Hardin, Harris, Harrison, Houston, Jasper, Liberty, Montgomery, Nacogdoches, Newton, Panola, Polk, Rusk, Sabine, San Augustine, San Jacinto, Shelby, Smith, Trinity, Tyler, Walker, Waller. A line of thunderstorms is currently moving east from the Austin and San Antonio area towards Houston. SUMMARY…Scattered thunderstorms will continue to affect the watch area this afternoon and evening. The environment is very favorable for supercells capable of tornadoes in those storms that form in the warm/humid air. 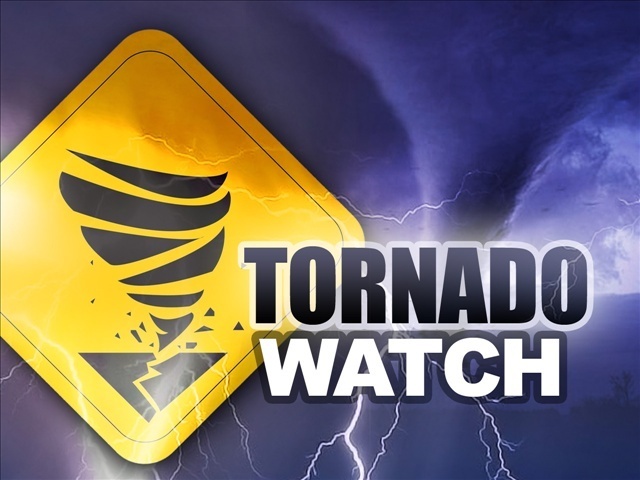 The tornado watch area is approximately along and 70 statute miles north and south of a line from 20 miles south of Monroe LA to 30 miles west-southwest of Huntsville TX. For a complete depiction of the watch see the associated watch outline update (WOUS64 KWNS WOU9). What is a tornado watch? This is issued by the National Weather Service when conditions are favorable for the development of tornadoes in and close to the watch area. Their size can vary depending on the weather situation. They are usually issued for a duration of 4 to 8 hours. They normally are issued well in advance of the actual occurrence of severe weather. During the watch, people should review tornado safety rules and be prepared to move a place of safety if threatening weather approaches. A Tornado Watch is issued by the Storm Prediction Center (SPC) in Norman, Oklahoma. Prior to the issuance of a Tornado Watch, SPC will usually contact the affected local National Weather Forecast Office (NWFO) and they will discuss what their current thinking is on the weather situation. Afterwards, SPC will issue a preliminary Tornado Watch and then the affected NWFO will then adjust the watch (adding or eliminating counties/parishes) and then issue it to the public. After adjusting the watch, the NWFO will let the public know which counties are included by way of a Watch Redefining Statement. During the watch, the NWFO will keep the public informed on what is happening in the watch area and also let the public know when the watch has expired or been cancelled.